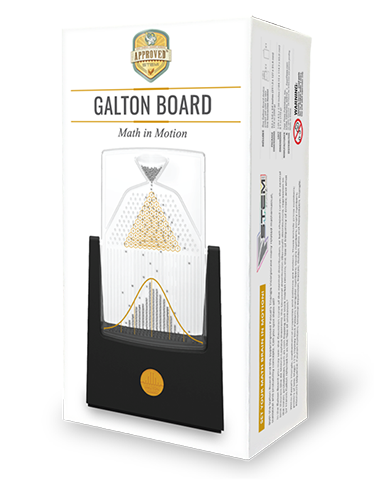 The Galton Board is a 7.5” by 4.5” desktop probability machine. 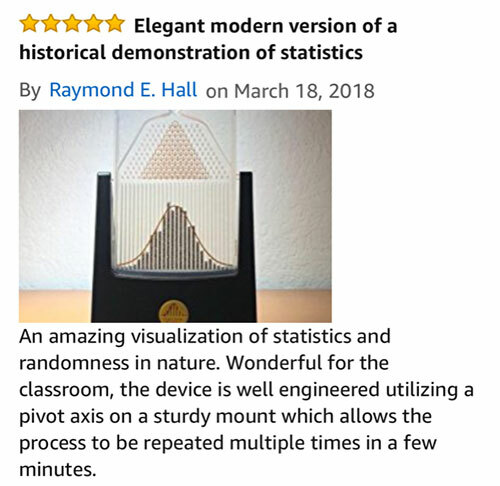 This delightful little device brings to life the statistical concept of normal distribution. 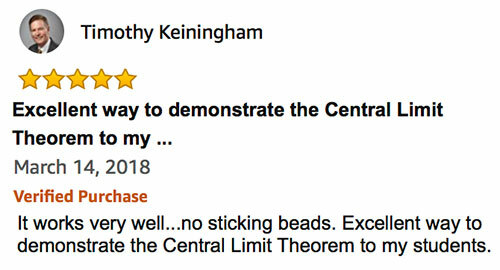 As you rotate the Galton Board on its axis, you set into motion a flow of steel beads that bounce with equal probability to the left or right through several rows of pegs. As the beads accumulate in the bins, they approximate the bell curve, as shown by the yellow line on the front of the Galton board. 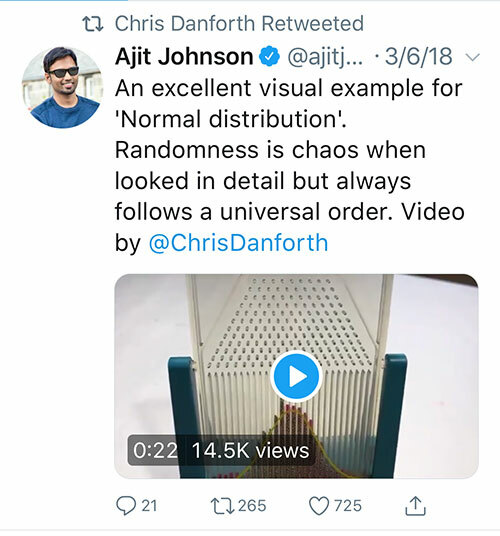 This hands-on Galton Board allows you to visualize the order embedded in the chaos of randomness. 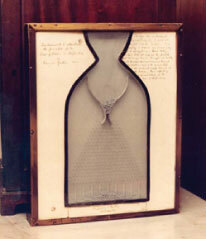 The Galton Board demonstrates centuries-old mathematical concepts in an innovative desktop device. 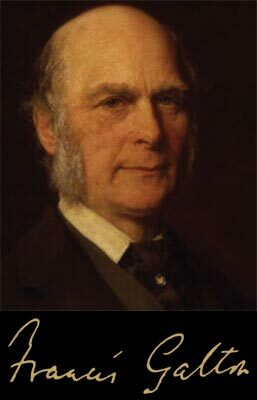 It incorporates Sir Francis Galton’s (1822-1911) illustration of the binomial distribution, which for a large number of beads approximates the normal distribution. It also has a superimposed Pascal’s Triangle (Blaise Pascal, 1623-1662), which is a triangle of numbers that follows the rule of adding the two numbers above to get the number below. The number at each peg represents the number of different paths a bead could travel from the top peg to that peg. The Fibonacci numbers (Leonardo Fibonacci, 1175-1250), can also be found as the sums of specific diagonals in the triangle. 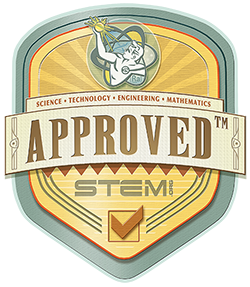 The Galton Board is approved for STEM educational activities. When rotated on its axis, the 3,000 beads cascade through rows of symmetrically placed pegs in the desktop-sized Galton Board. When the device is level, each bead bounces off the pegs with equal probability of moving to the left or right. As the beads settle into the bins at the bottom of the board, they accumulate to approximate a bell-shaped curve. Printed on the board are the bell curve, as well as the average and standard deviation lines. 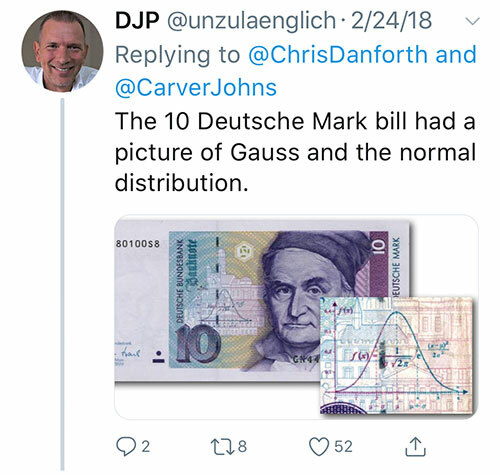 The bell curve, also known as the Gaussian distribution (Carl Friedrich Gauss, 1777-1855), is important in statistics and probability theory. It is used in the natural and social sciences to represent random variables, like the beads in the Galton Board. 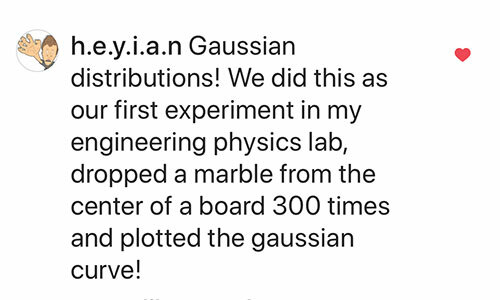 The Galton Board is reminiscent of Charles and Ray Eames’ groundbreaking 11-foot-tall “Probability Machine,” featured at the 1961 Mathematica exhibit. 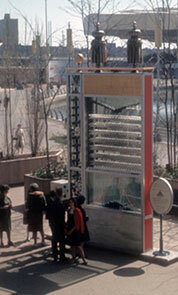 An even larger Eames probability machine was showcased at IBM’s Pavilion for the 1964 World’s Fair in New York. 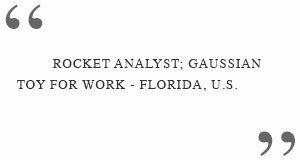 STEM stands for Science, Technology, Engineering and Math. STEM education integrates concepts that are usually taught as separate subjects in different classes and emphasizes the application of knowledge to real-life situations. 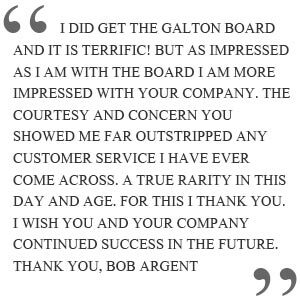 "Mark, I have to hand it to you and your team… Galton Board is an amazing and meticulously-designed product. Congratulations!" SET YOUR MATH BRAIN IN MOTION! The Galton Board and the superimposed Pascal’s Triangle incorporate many mathematical, statistical and probability concepts. Can you spot them all? Within Pascal’s Triangle, mathematical properties and patterns are evident. 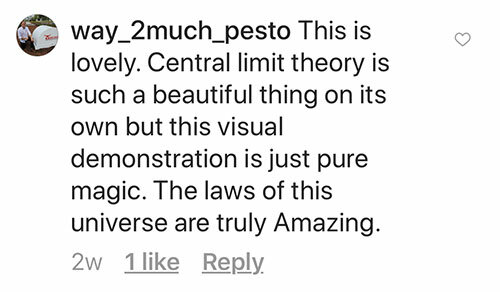 Those include: prime numbers; powers of two; Magic 11’s; Hockey Stick Pattern; triangular numbers; square numbers; binary numbers; Fibonacci’s sequence; Catalan numbers; binomial expansion; fractals; Golden Ratio and Sierpinkski’s Triangle. Pascal’s Triangle is a triangle of numbers that follow the rule of adding the two numbers above to get the number below. This pattern can continue endlessly. Blaise Pascal (1623-1662) used the triangle to study probability theory, as described in his book Traité du triangle arithmétique (1653). It also had been studied about 500 years earlier by Chinese mathematician Yang Hui (1238-1298). The Triangle’s patterns translate to mathematical properties of the binomial coefficients. 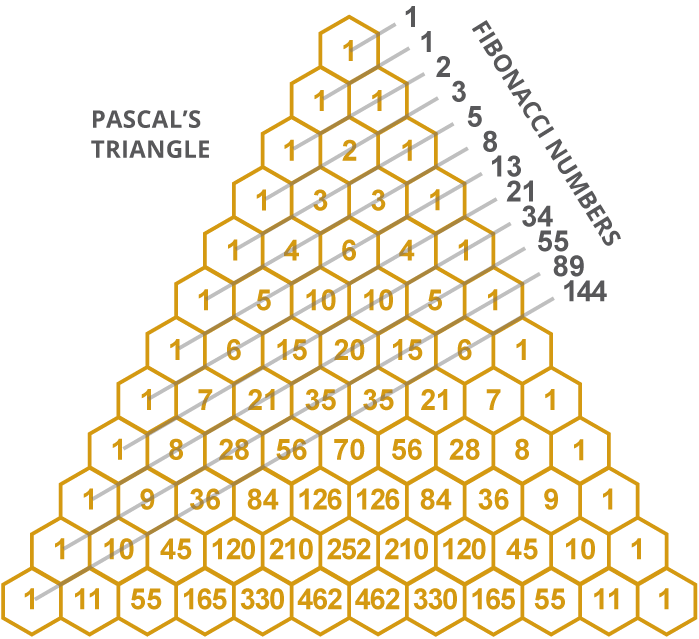 The sum of the numbers on the diagonal shown on Pascal’s Triangle match the Fibonacci Numbers. The sequence progresses in this order: 1, 1, 2, 3, 5, 8, 13, 21, 34, 55, 89 and so on. Each number in the sequence is the sum of the previous two numbers. 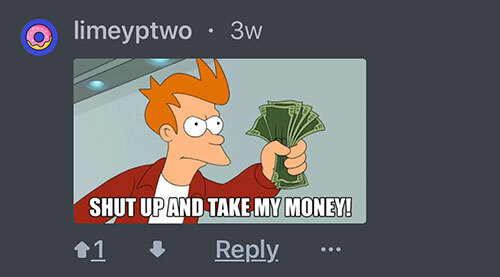 For example: 2+3=5; 3+5=8; 5+8=13; 8+13=21 and so on. Leonardo Fibonacci popularized these numbers in his book Liber Abaci (1202). A Fibonacci spiral is a series of one-quarter circles drawn inside a pattern of squares with Fibonacci numbers for dimensions. As you progress through the Fibonacci Numbers, the ratios of consecutive Fibonacci numbers approach the Golden Ratio of 1.61803398...., but never equals it. 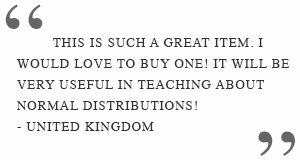 For example: 55/34=1.618; 89/55=1.618 and 144/89=1.618. Artists and architects, including Dali, have proportioned their works to approximate the Golden Ratio, which can also be seen in many patterns in nature, including the spiral arrangement of leaves. The normal distribution, often referred to as the "bell curve”, is the most widely known and used of all probability distributions. Because the normal distribution approximates many natural phenomena so well, it has developed into a standard of reference for numerous probability problems. 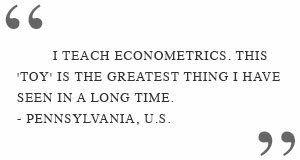 Several sets of data follow the normal distribution: for example, the heights of adults; the weights of babies; classroom test scores; returns of the stock market and the beads in the Galton Board. 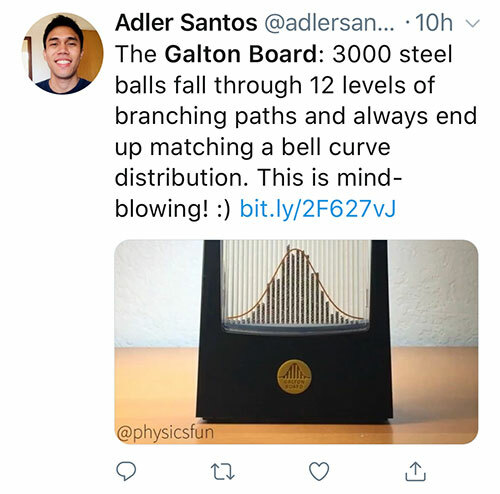 As demonstrated by the Galton Board, the random path of 3,000 beads approximates a bell curve every time. 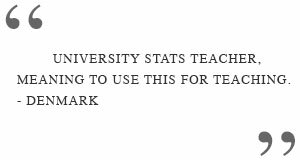 The standard deviation (σ) is a measure of how closely all of the data points are gathered around the average. 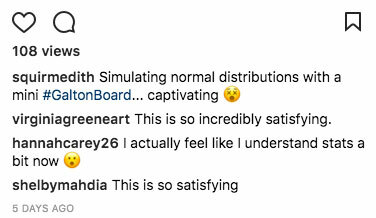 The shape of a normal distribution is determined by the average and the standard deviation. The more narrow the bell curve, the smaller the standard deviation. 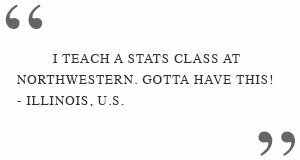 When the bell curve is wide, the standard deviation is large. 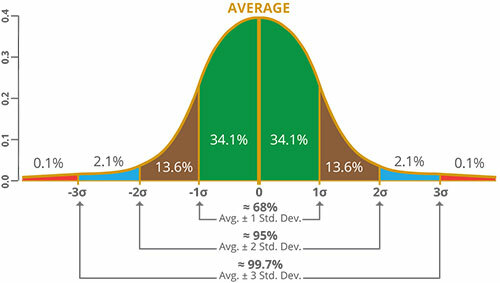 As seen in the graphic, about two-thirds of the data in a bell curve fall within one standard deviation of the average. 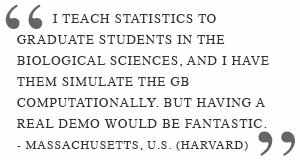 About 95% of the data falls within two standard deviations and about 99.7% within three standard deviations. 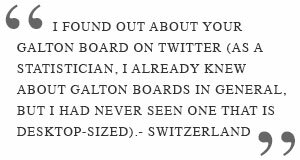 The Galton Board, also known as the Galton Box, is named after Sir Francis Galton (1822-1911). 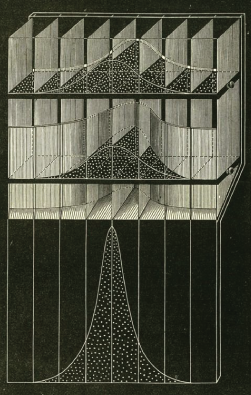 Francis Galton, an English mathematician who was an expert in many scientific fields, created his "Quincunx" machine to demonstrate how a normal distribution is formed through the occurrence of multiple random events. The Galton Board incorporates many mathematical and statistical concepts, including the normal distribution or bell-shaped curve, the central limit theorem (the de Moivre-Laplace theorem), the binomial distribution, regression to the mean, Pascal’s triangle (the triangle of binomial coefficients), probabilities, powers of two, binary numbers, coin flipping odds, law of frequency of errors, order in apparent chaos, and what Sir Francis Galton referred to as the law of unreason. "Order in Apparent Chaos. I know of scarcely anything so apt to impress the imagination as the wonderful form of cosmic order expressed by the " Law of Frequency of Error." The law would have been personified by the Greeks and deified, if they had known of it. It reigns with serenity and in complete self-effacement amidst the wildest confusion. The huger the mob, and the greater the apparent anarchy, the more perfect is its sway. 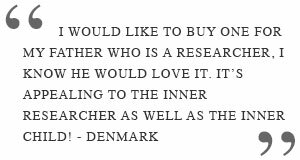 It is the supreme law of Unreason. Whenever a large sample of chaotic elements are taken in hand and marshalled in the order of their magnitude, an unsuspected and most beautiful form of regularity proves to have been latent all along." The original Galton Board was built in 1893 and is on display in the Galton Collection, University College London (see image on the left). In the top left corner it states, "Instrument to illustrate the principle of the Law of Error or Dispersion, by Francis Galton FRS. The photo of the Galton Box appears in The History of Statistics by Stephen M. Stigler. The Quincunx board is used to bring this classic pattern to live, by dropping beads or balls through a series of pegs arrange in a triangular pattern much like Pascale’s Triangle. Balls are dropped onto the first peg and then bounce down to the bottom of the triangle where they collect in little bins. 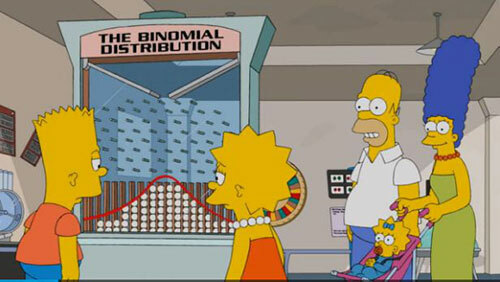 Because the balls have to go through this line of binomial divider, the final number of balls collected at the bins is the same as the total added cumulating of probability of its directional outcome. In 1964, Charles and Ray Eames built a large working model for the New York World’s Fair exhibit. Their work captures the imagination of many, and bring educational interest of probability to those who saw the display. 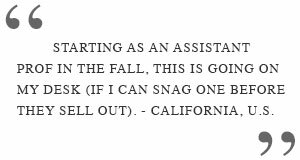 Four Pines Publishing, Inc. does not provide investment advice.